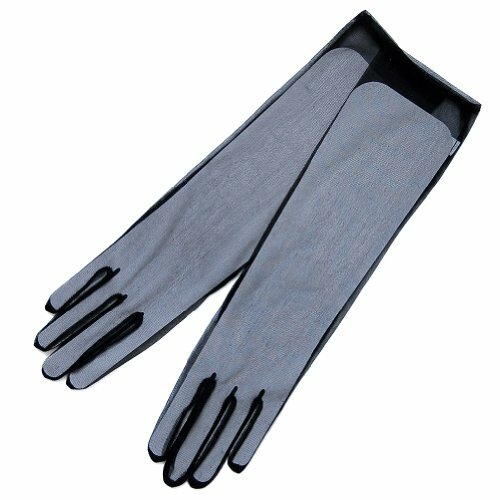 Gorgeous sheer formal gloves, One size fits all. Below-the-elbow (8BL) These gloves are lightweight with a very slight stretch to them. Slip on, Chiffon textured feeling. 100% Nylon. Approximately 15.5" in length from the tip of the middle finger to the end of the glove. (When laying flat) LENGTH, TIGHT or LOOSE depends on your arm circumference.